Canadian women in large urban centres are more at risk for postpartum depression than those living in smaller communities or rural areas, a new study shows. Postpartum depression is a depressive episode that occurs within one year of giving birth. It can have a negative effect on not only the mother, but also her baby. There are some established risk factors – such as poor social support and a history of depression – but it hasn’t been clear whether there is any association between postpartum depression and the geographical area where the mother lives. 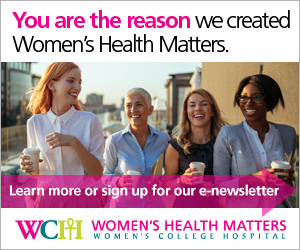 To clarify the issue, a research team that included scientists from Women’s College Hospital, Women’s College Research Institute, the Centre for Addiction and Mental Health (CAMH) and the University of Toronto used data from the 2006 Canadian Maternity Experiences Survey. The survey collected information from 6,126 new mothers across Canada, between five and 14 months after they gave birth. They then compared prevalence of postpartum depression in these four categories. Postpartum depression was assessed using scores from the Edinburgh Postnatal Depression Scale, the most widely used screening tool for this condition. The results, which were published in the Canadian Medical Association Journal on Aug. 6, 2013, showed that women in urban areas had higher rates of postpartum depression than women in more rural areas. The percentage of women with postpartum depression in urban areas was 9.16 per cent, compared to 6.07 per cent in rural areas, 6.96 per cent in semi-rural areas, and 5.31 per cent in semi-urban areas. Not only was the prevalence higher in urban centres, but the urban rate of postpartum depression affected the national rate for Canada. To find a possible explanation for the increased rates in urban areas, the researchers looked at known risk factors for postpartum depression. They found that some risk factors – such as poor social support and coming from outside of Canada – were more common in urban areas. “We were able to explain almost all of the difference by focusing on variables like urban populations having higher percentages of women who are not Canadian-born, larger percentages of people reporting very poor social support postpartum. It’s this lack of social support and other characteristics that are explaining why women in urban areas may have higher rates of postpartum depression,” Dr. Vigod says. This indicates a need to target groups of urban women who may be at high risk, such as women who are new to Canada, and to be aware that despite current services, women in urban areas have less support.